As an electrical engineering student at Morgan State University, one of the things 23-year-old Khir Henderson wanted to see during a recent trip to China was how the country was conserving energy. He also wanted to get a better sense of what the common people were like in a state that is known to unleash cyber hackers on the United States. He was not disappointed on either front and gained a new appreciation for what diversity, censorship and even his own blackness means in a cultural context other than his own. “I wanted to explore,” Henderson said of his rationale for visiting China as part of the HBCU–China Scholarship Network. The network is a consortium of 42 Historically Black Colleges and Universities formed in 2014 to facilitate the implementation of 1,000 scholarships awarded to HBCUs as announced by Chinese Vice Premier Liu Yandong. 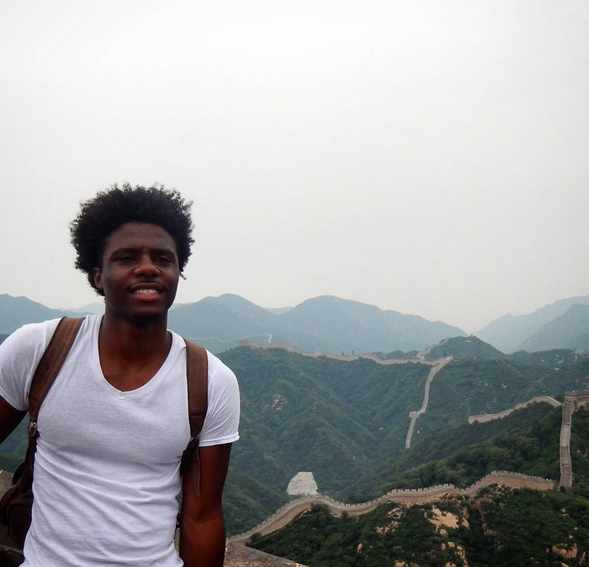 Henderson was one of 18 students who visited China for two weeks last month during one of the HBCU-China Scholar Network’s study abroad trips. The group included 10 students from Morgan State University, seven students from Harris-Stowe State University, and one student from Florida Memorial University. The students were hosted by Beijing Language and Culture University (BLCU) in Beijing and Hangzhou Wanxiang Polytechnic (HWXP) in Hangzhou. The students spent six days in Beijing, five days in Hangzhou, and one day in Shanghai. They studied China’s language, philosophy, political system, economics, education system, astrology, calligraphy and painting, ethnic minorities, martial arts and clean energy initiatives. “At times, the students were exhausted because of the amount of scheduled activities we had,” said Sumanth Reddy, Study Abroad Advisor & Coordinator at Morgan State University. Reddy said students used words such as “unforgettable, amazing, enlightening, life-changing, inspiring, humbling, educational, and spectacular” to describe their trip. For Henderson, the trip represented a chance to broaden his perspective as a student of electrical engineering. He was particularly interested in how everyday Chinese felt about the United States given cyber conflict between the two countries. “For the most, what I saw, they were very peaceful. They didn’t want any type of negativity,” Henderson said. He also wanted to see how the country conserved energy.